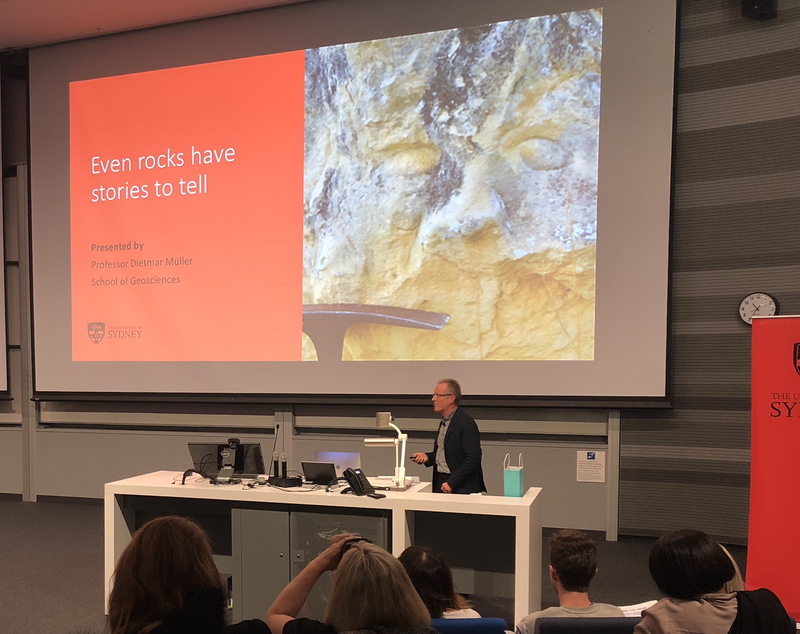 Even rocks have stories to tell … a message delivered by Dietmar Muller to about 400 teachers from across Australia at CONASTA (Science Teachers of Australia Annual Conference) today on the Sydney Uni campus. This presentation was a warm-up act for Alan Finkel’s following talk on “content matters”, at high schools and universities. Abandon content at your peril! … was Alan’s message, and create experts with deep domain-specific knowledge.